Printrbot provides part diagrams of the laser-cut wood parts included with their printer kits. These diagrams are useful if you want to save even more on the cost of a kit by having the parts cut yourself. Alternatively, you can use these patterns to print replacement parts for your Printrbot using your Printrbot. Here’s a roundabout way to convert the part diagrams to printable models using only free software. 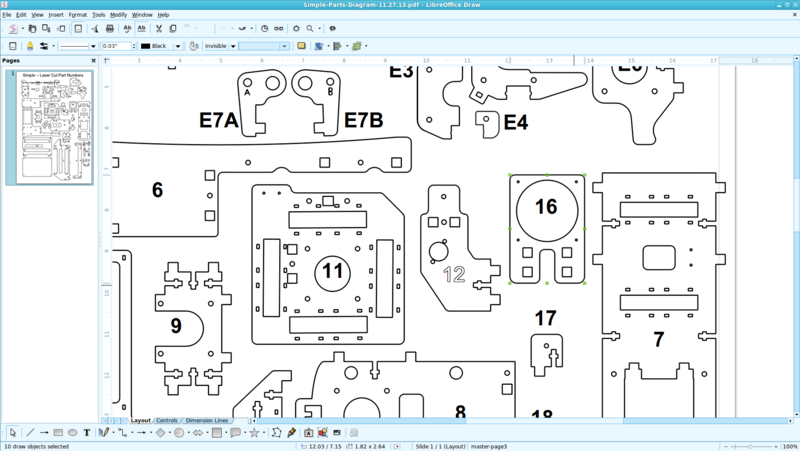 First, download a parts diagram from the Printrbot Support page for your printer. Here is the diagram for my printer (PDF). 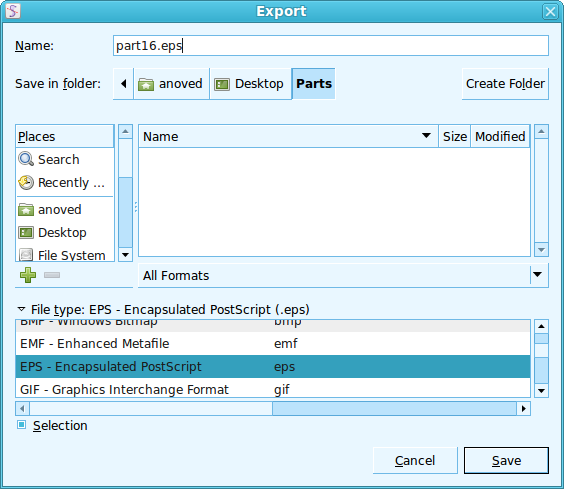 Select Export… from the File menu. 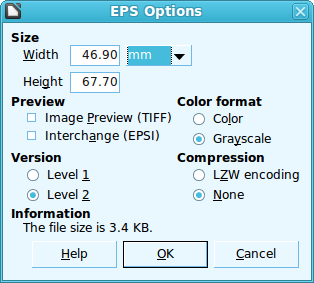 Check Selection and choose EPS as the file type to export. Be sure mm is selected as the unit in the EPS Options window. 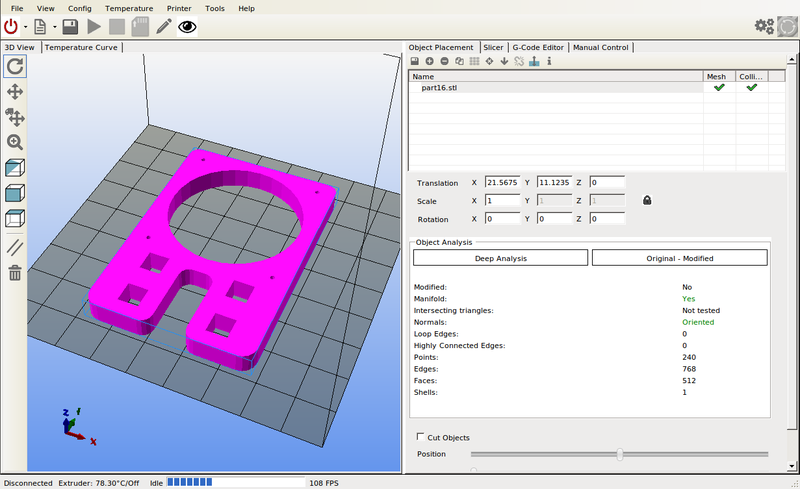 Click OK.
Another thing to try would be to use OpenSCAD to union an assembly of multiple parts into a model you could print as a single piece for greater rigidity and ease of maintenance. You might also customize the model to accomodate different components. This article on using fasteners with printed parts is worth a look for useful design tips, too. Posted on Friday, January 24th, 2014.